The Sereno Transit Village Concept Plan presents a vision for the redevelopment and transformation of an existing retail area into a pedestrian-oriented walkable mixed use center. 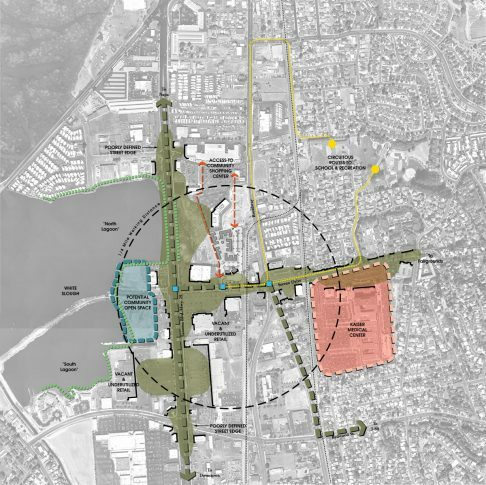 The plan includes a conceptual design for the Sereno Transit Center, land use recommendations for the surrounding area, and streetscape improvements for key streets in the immediate vicinity. VMWP worked with a task force of local stakeholders and City officials to develop targeted investment projects. VMWP worked with the Transit agency to design the transit center with a multi-faceted public plaza. Funded through an MTC Livable Community’s planning grant the project also makes design recommendations to improve the quality of surrounding development. 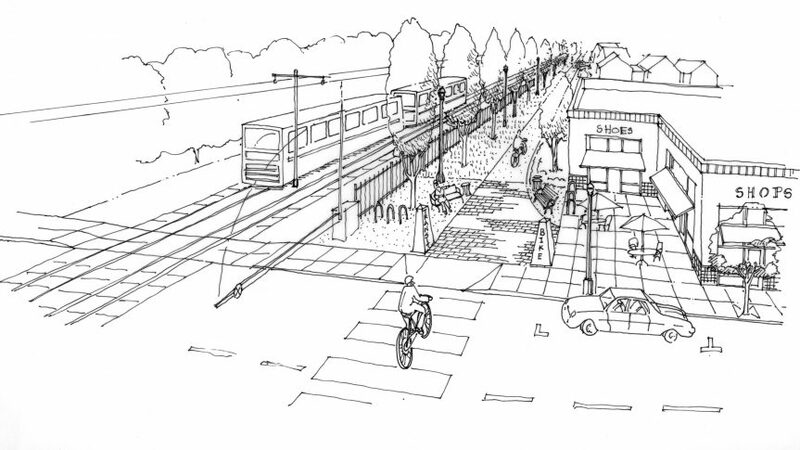 Work directly with the City’s Transit Department, Public Works Department and other agencies to develop specific designs for the transit center and integration with new housing and development. 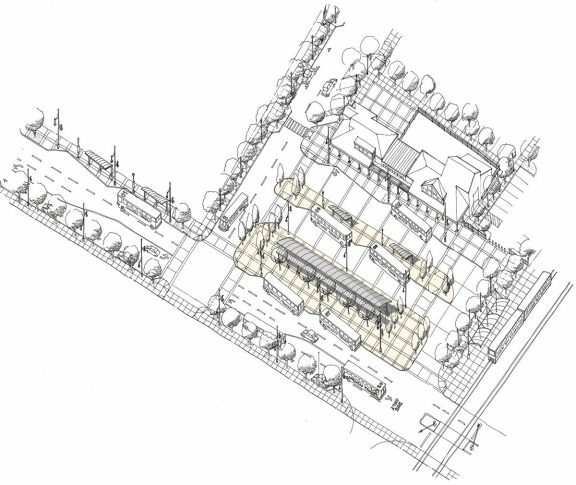 Worked directly with the City’s Transit Department, Public Works Department and other agencies to develop specific designs for the transit center and integration with new housing and development.